And what the land developers think about spatial information? Presentation at the European Association of Archaeologists (EAA) 2017 conference, Maastricht. Read more about And what the land developers think about spatial information? Presentation at the European Association of Archaeologists (EAA) 2017 conference in Maastricht. What is public about archaeological information work? Presentation at the WORK 2017 conference in Åbo, Finland. Read more about What is public about archaeological information work? Presentation at the Centre for Digital Heritage 2017 conference in Leiden, the Netherlands. Preconference workshop on higher education programmes in digital humanities at the Second Digital Humanities in the Nordic Countries conference in April 14, 2017 in Gothenburg, Sweden. Presentation at the Beyond Interpretivism? New Encounters with Technology and Organisation IFIP WG 8.2. working conference in Dublin, Ireland. Presentation at the International Digital Humanities Symposium, Linnaeus University, Växjö. Information studies symposium (Informaatiotutkimuksen päivät 2016) will be held at University of Tampere 3.-4. November 2016. 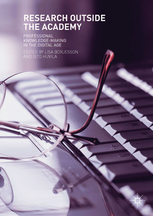 In the symposium the current phenomena of information studies are explored through the perspectives of professional practices as well as research. Please, participate and send an extended abstract of your presentation (3500 - 7000 characters, spaces included) in the rtf format no later than 5th September 2016 by email to the workshop organizer. 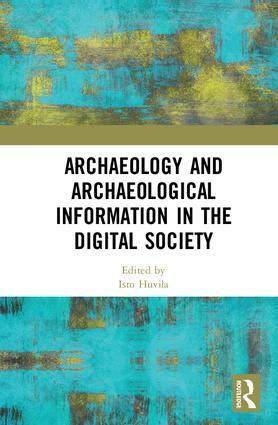 Archaeology and Archaeological Information in the Digital Society shows how the digitization of archaeological information, tools and workflows, and their interplay with both old and new non-digital practices throughout the archaeological information process, affect the outcomes of archaeological work, and in the end, our general understanding of the human past. Taking Health Information Behaviour into Account: implications of a neglected element for success- ful implementation of consumer health technologies on older adults (HIBA) is an Academy of Finland funded research project at Åbo Akademi University. Sheds new light on the potential of extra-academic knowledge-making as a contribution in formations of knowledge throughout society, explores extra-academic knowledge as a useful resource in academy, policy development, evidence based practices, and innovation, and focuses on the informational dimensions, stemming from and grounded in an informationscience perspective, which provides the means to address practical information-related issues throughout knowledge-making processes. Isto Huvila is working on management and organisation of what we know and how we know in contexts ranging from social media to more traditional arenas of learning and working. My special areas of expertise are organisational information, social media, health, archives, libraries, museums and cultural heritage. Archiving realtime archaeological (para)data or archiving archaeological (para)data realtime?